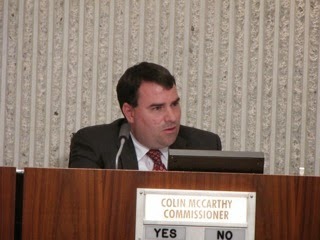 Last night the Costa Mesa Planning Commission, led by an insightful presentation by commissioner Colin McCarthy, decided to actually listen to the residents of this city and rejected the staff suggestion to cease sending notices to adjacent property owners when a two-story home is being planned. McCarthy had the right idea up front and it was supported by more than a dozen residents who left their torches and pitchforks outside, but brought their passion to the speaker's podium with them. 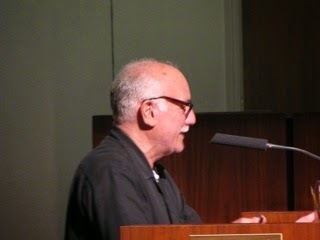 When it came time for the public to speak first up was council candidate Harold Weitzberg, who set the tone for the remaining speakers when he suggested that a notice be sent to adjacent property owners that he referred to as an "Intent to Construct" notice, and that is should be sent early-on in the planning process to give neighbors a chance to informally discuss the project to see if there are problems that might be worked out before a lot of money is spent on plans and engineering. This theme ran through the remaining 12 speakers' comments. Words like "transparency", "good faith" and "be a good neighbor" continued to be heard as speakers presented their own views. At the end the commission voted, 5-0, to reject the staff proposal and asked the staff to revisit the process to see if the "noticing" can be done earlier. Public Hearing #2, the Soccer Training Facility was also passed, 5-0, after only ten minutes of discussion. Public Hearing #3, the planned development of two homes on Palmer Street where one presently exists, didn't fare as well. Despite the fact that the developer brought to the commission a project that met ALL the guidelines and asked for NO variances or deviations, several of the commissioners got hung up on small items - a large tree that needed to be removed; a fire hydrant; mailboxes and the rear unit opening out to the alley. Commission Chairman Jim Fitzpatrick seemed to vacillate the most, saying he didn't want to reject the project, and, at the end, this item was continued to the meeting of July 14th and the staff will work with the developer to resolve the sticking points. Public Hearing #4, which could have been very contentious, was not. 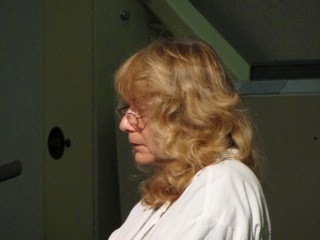 The representative of the developer chose to modify her request and reduced the size of the piece of property involved by about 450 square feet, which apparently satisfied neighbors, including Beth Refakes and others, who came loaded for bear on this one. Staff will work with the church involved to resolve some eyesore issues and the project will continue. It passed, 5-0. Today, Tuesday, the commission meets in a joint session with the City Council at 4:30 in Conference Room 1A to discuss its goals for the next fiscal year.